School is out, and summer is here! Saint Paul Parks and Recreation, along with dozens of partner organizations, provide the public with free and low-cost programs every summer. 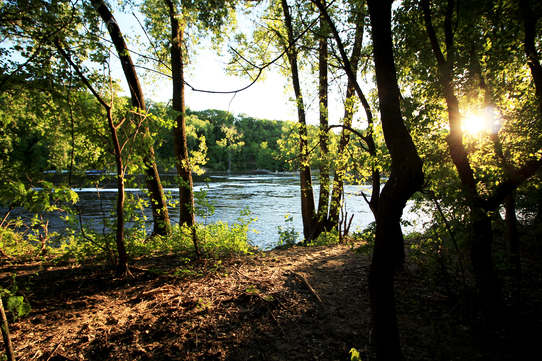 Explore the Great River Passage events calendar to plan your summer at the river. Find activities for all ages and interests, from canoe trips to cruises to movies in the parks. Our three local photographers in residence have been busy over the past month capturing the true nature of the Mississippi River. See their compelling views, like the one below by Erin D. Carter, in our digital gallery. For the rest of the year these photographers' growing image library will be added to our website and will culminate in a published project at the end of the year. Stay tuned for more photos of the riverfront! 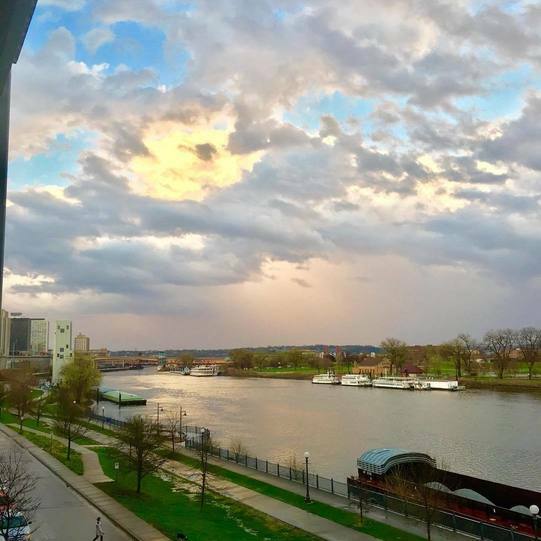 @Julie2075 is our first winner for snapping this stunning photo of the Mississippi River. Congratulations! The goats stationed in Indian Mounds Regional Park are now grazing on unwanted vegetation, like buckthorn and garlic mustard, on the eastern side of the park. They will be working on this location until the end of July. If you’d like to visit them, early evening, when they tend to come to the trail edge for rest and water, is the best time. Learn more about how the goats are maintaining Saint Paul's natural habitat.